Based on the same samples as the famous White Grand we have managed to make a smaller version that has the sound and playability that makes the White Grand so grand - in short: a little brother with a lot of attitude!!!! By carefully choosing samples from the original White Grand recordings and editing them by hand, we have managed to make an instrument that matches up with the high demands from his bigger sister. Do not get fooled about this being a smaller version of the White Grand! The unpacked size of the 24 bit version of WG Jr is about 1.4 Gb and the 16 bit version about 900Mb! Even if this is a slimmed down version of the White Grand, and by SampleTekk's standards a small piano, it technically sticks out among sampled pianos. 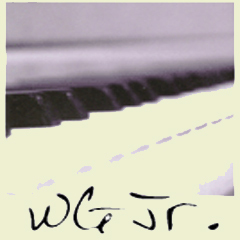 With it's 20 samples/recorded note (8 samples pedal up, 8 samples pedal down and 4 release samples) it gives WG Jr a dynamic response that are, (SampleTekk's own products uncounted), matched by very, very few. The sound is the sound of the White Grand, which has been praised by 1000's of musicians, composers and music producers.